Original article published at nofibs.com.au. The Climate Council has warned that Australia faces increased bushfire risk, with bushfire seasons extending for longer due to the impact of climate change. But with seasons extending resources will be retained to fight fires locally. Australia has sent dozens of experienced firefighters to help combat more than 70 fires in the United States, but Australia's fire season is now starting earlier in October and extending later into March. “Much of Australia’s firefighting equipment is leased from firefighting agencies the Northern Hemisphere,” she said. “As firefighting seasons lengthen and overlap with firefighting season in Australia, this arrangement could increasingly leave Australia unprepared." With El Nino strengthening and likely to be one of the strongest on record, and warmer sea surface temperatures in the Indian ocean, Australia is likely to face a major bushfir risk over the 2015/2016 summer, according to BNHCRC. 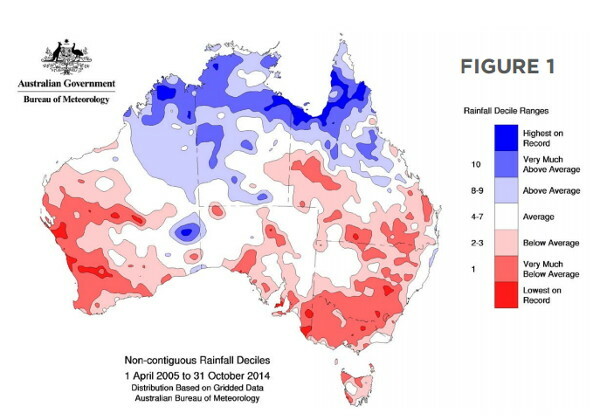 This is on top of succeeding years of low rainfall with drought conditions already present in parts of Australia. "There have also been significantly below average rainfalls over the last decade across almost all of eastern Australia, the west coast and Tasmania. Such underlying dry conditions mean that any surface moisture from recent rains will quickly decline once temperatures begin to warm. 2014 was Australia’s third warmest year since records began and, when combined with such long term rainfall deficiencies, an early start to the bushfire season is likely in many areas." warns the BNHCRC. “We’re very concerned about how severe the fire season has been in the U.S and the likelihood of similar conditions in Australia,” he said. “There is a real need to consider these kinds of climate issues in our emergency management planning." And that is the crunch. On the Federal level we have a Prime Minister who is sceptical of the climate change and particularly it's impact on bushfire risk, even though he has been a volunteer with a Country Fire Authority (CFA) brigade. In 2013, shortly after being elected as Australia's Prime Minister, he demonstrated his denial on the bushfire climate change link. Climate change is here and now. We are seeing it's telltale signs in longer fire seasons, more intense bushfires, and more frequent and more extreme heatwaves. 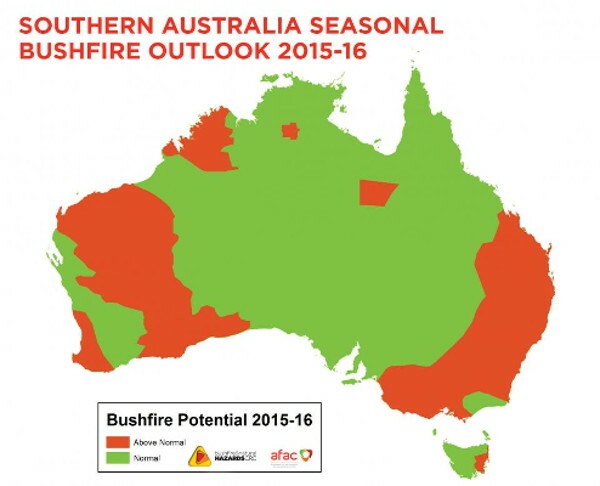 Last summer we saw that Climate Change was not on Abbott’s South Australian bushfire agenda. 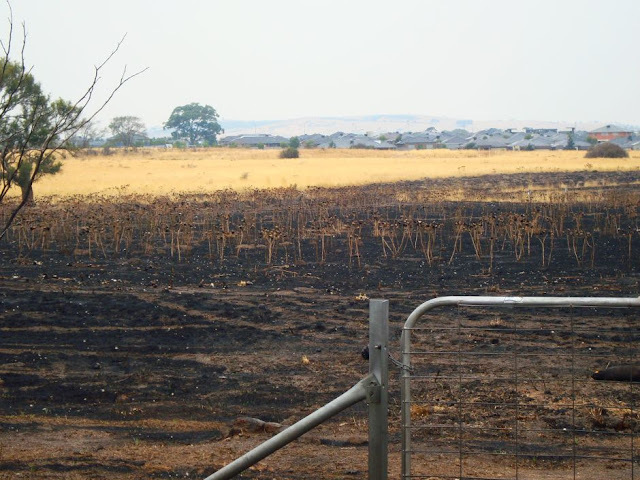 According to this Melbourne Polytechnic blog article, "the Mickleham – Kilmore fire on Melbourne’s northern urban fringe in February 2014 destroyed up to 50 homes, highlighting the destructive capacity of bushfires on the suburban outskirts of Melbourne. The Kilmore fire posed a threat to the lives or safety of 13,000 people as it spread rapidly towards 5000 homes including the suburb of Craigieburn."